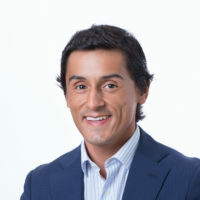 John Alarcon holds a degree in business and administration from Antonio de Nebrija´s University, Madrid, Spain. After completing his studies, in 2003 he attended a postgraduate degree in "International Business" at the European Business School in London granted a scholarship by the Spain Chamber of Commerce in United Kingdom. At that time, he became part of the central office of "TRI Hospitality Consulting" based in London where he received an intensive training focused on market research, benchmarking and feasibility studies for hotels, resorts, golf courses, apartments, timeshare etc., in different countries around Europe, especially in Spain and Portugal. After this professional training, from 2004 to 2006 he joined to the "TRI´s Madrid Office” where he worked as Senior Consultant carrying out feasibility studies and valuations throughout Spain, Portugal and key European cities. From 2006 to 2008 he subsequently worked as Senior Consultant in "Matlin Associates", boutique international consultancy company, working focused on the investment particular area, specialized on assets disposals and operator search processes. From 2008 until 2011 he worked as Senior Consultant at the investment department of "Aguirre Newman", real estate and consultancy international company founded in Spain, specialized in hotel investment area. From July 2011 to December 2015 he worked as Developer Director at “Meliá Hotels International” covering Spain, Portugal and North Africa regions where he signed several management, lease and franchise agreements of new projects and existing hotels to be added for the Melia’s portfolio Group. From the begging 2016 until March 2018 he was promoted to Asia as Vice President Development Asia Pacific where he was taking care of the Melia development growth in Philippines, Thailand, South Korea, and Japan. Since March 2018 he was relocated back to Europe where he is overlooking the opportunities of development for the Group in Southern Europe and North Africa.